Select photo to view it larger. 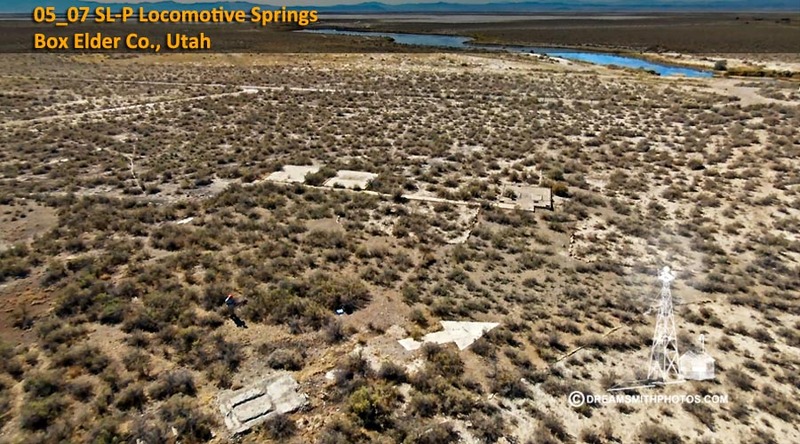 The Locomotive Springs Arrow is located in the middle of a huge desert plain north of Utah’s Great Salt Lake, and 21 miles south of I-84. The road from I-84 to the arrow is gravel, and took us approximately 40 minutes to get there. The arrow itself is about 200-300 feet from the road. Adjacent to the arrow is a set of large concrete pads and walkways. This was used by people who lived at the beacon site, and operated a radio-range site here in the desert. The arrow is in poor condition. The arrow point and the shaft attached to it however is in good condition. 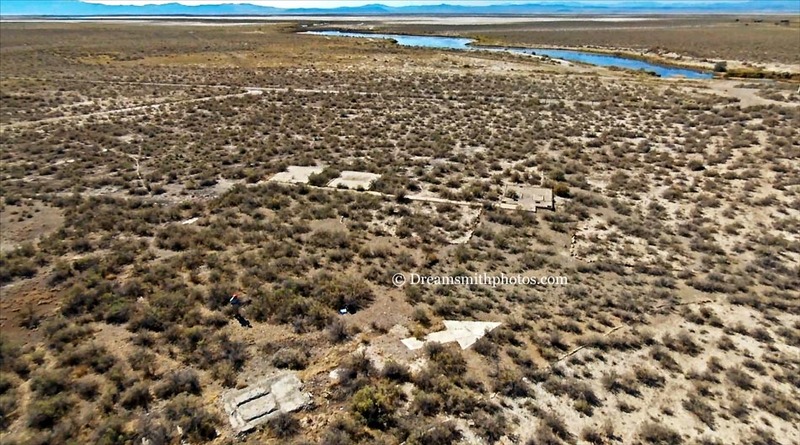 The center portion of the arrow is all broken up, and all the remains of the pad where the generator shed stood is the outside foundation and concrete supports in the center. The arrow is 62 feet in length. The pilot would approach the tail of the arrow on a compass heading of 305° (W-NW), and then exit the arrow on a compass heading of 320° (NW).